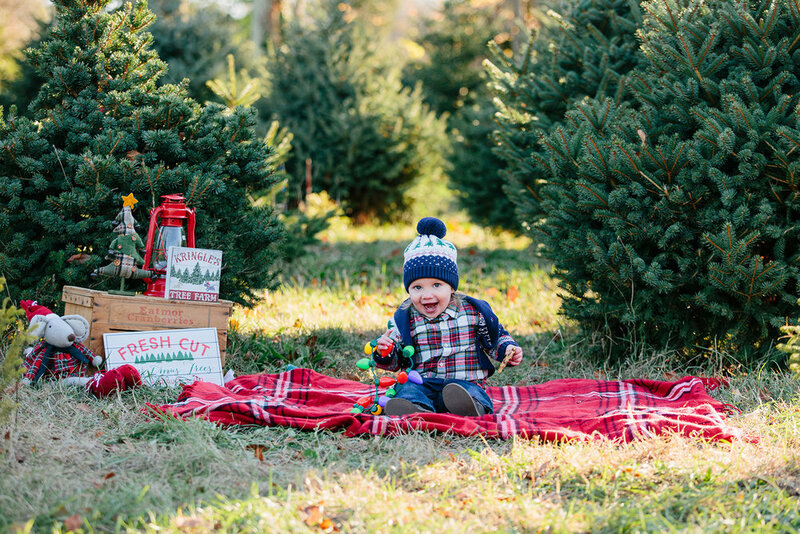 Christmas Tree Farm photos are some of my favorite to photograph throughout the year! They are always so much fun, and you never know how kids will do. Some kids sit great, others just want to run around and have fun. I mean, who could blame them? There are lots of trees and grass just begging to be explored. It's fun when the kids do explore, as I am able to capture some great candid moments and real smiles! I've been photographing Harrison since he was a newborn! His mom and I actually went to high school together, so it's been so nice seeing her become a mom. 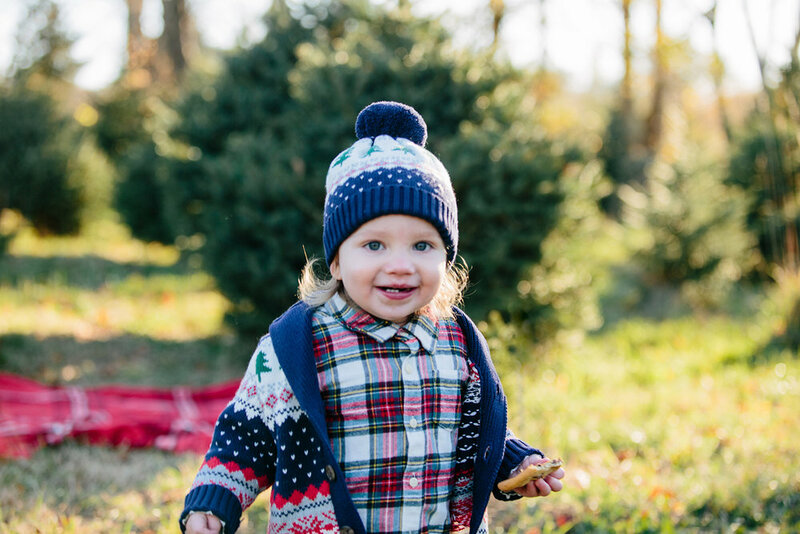 Harry is a pretty cute kid, and was super fun to photograph! 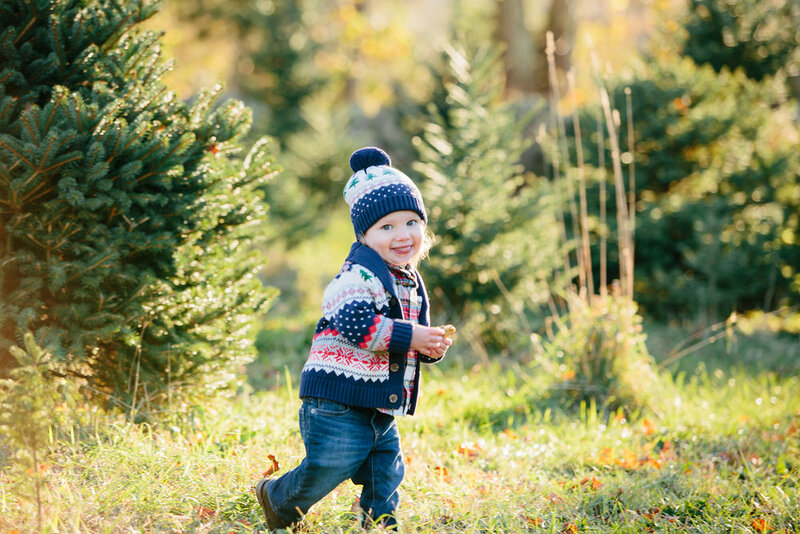 Harry was one the kids who thoroughly enjoyed running through the trees and having fun. 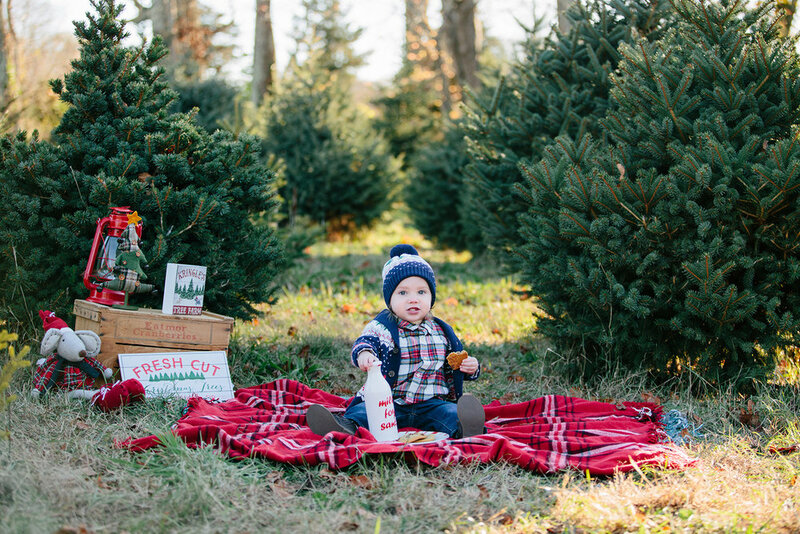 I captured some great photos of him at the Pine Crest Tree Farm in Westport, MA for his holiday photos!